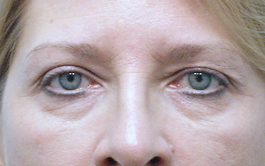 Lower lid blepharoplasty, also known as ‘lower eyelid tuck’, has progressed far beyond the general public’s idea of an eyelid tuck – it is now a highly-customizable procedure. 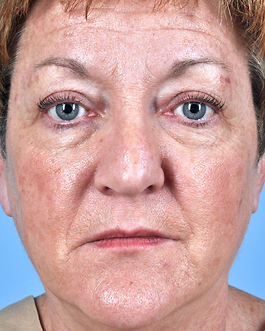 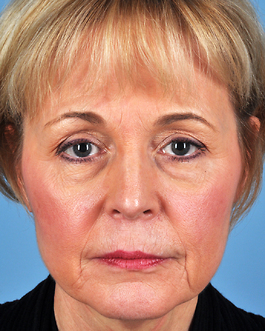 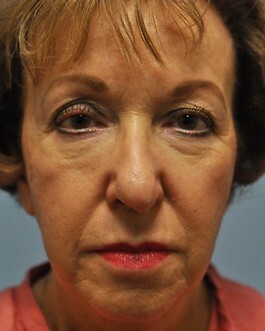 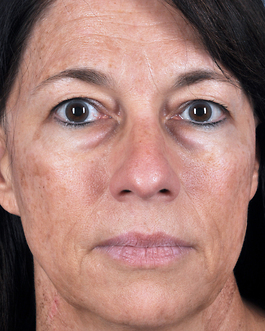 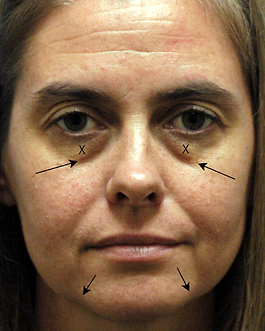 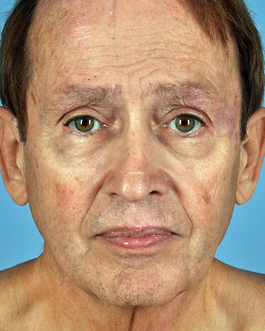 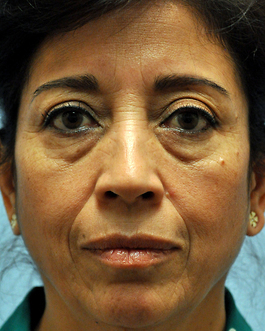 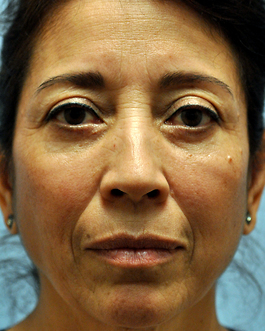 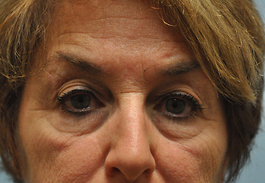 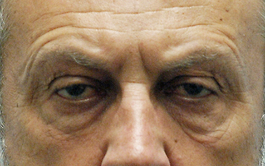 This 55-year-old woman had bulging fatty pads and extra skin beneath her lower lids, as well as hollowing caused by fat loss in other areas of her face. 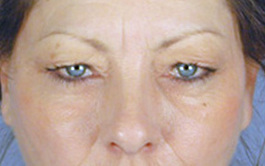 Less noticeable, but still important, is the subtle downward sagging of the outside of her lower lid, a sign of aging that can be improved at the time of her surgery. 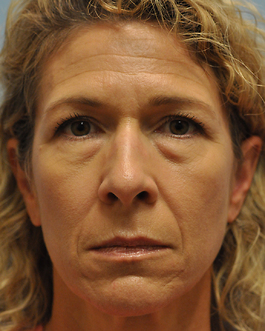 She underwent lower lid blepharoplasty to remove the extra skin beneath her eyes, and we also removed the bulging fat pads. 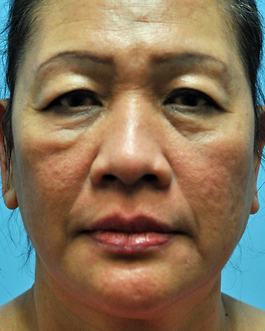 She had some additional fat removed from beneath her lower lashes, and fat harvested from other areas of her body was injected into her cheeks and the neighboring areas to add youthful volume. 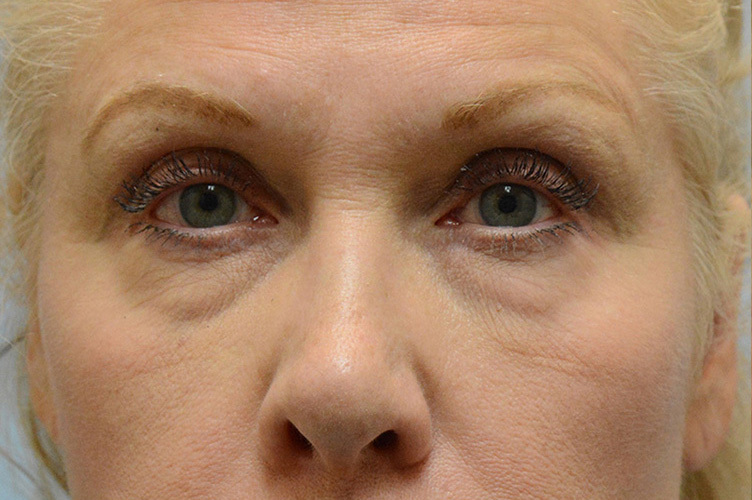 Just as exciting as blepharoplasty and fat injections, although more subtle, is the further tightening of her lower lids through a canthopexy. 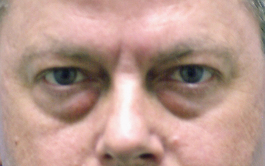 This is a permanent suture that tightens the lower lid and takes away the sagging area beneath and to the outside of the eye. 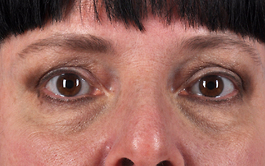 Look carefully at the before and after pictures and you will see that she has a very subtle more youthful upsweep to the lower lid height as you look along the underside of her eye from her nose to her ear.